I was surprised at how much I liked this book. I honestly didn't think I was ready for a fantasy series just yet considering that I am trying to wean myself into reading again after having to take a break due to personal stuff. I decided to read the first chapter on a whim to see if I thought I would like it after winning the book in a Goodreads giveaway and well, as you can see I didn't stop reading. There are three main narrators Prince Zand of the landfolk, Atlis an Assassin, and Nighman a mysterious entity who cannot remember his past. All three characters were interesting, but I have to say I really liked Atlis's parts mostly because it was a bit more intriguing. Nighman was second best because you really want to help him find out why he is the way he is. Zand was just okay, mostly because while he wants to help the Landfolk come out from under the thumb of the skyfolk he is a bit immature and naive, but throughout the book, he does start to grow and you can see him slowly turning from a skirt-chasing prince to a responsible young man. 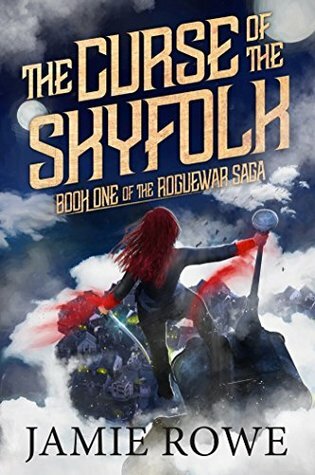 This book also really makes you hate the skyfolk. I despised whenever one came into the story. Their culture was also very intriguing and it reminds me a little of how the politics of Game of Thrones is, although not quite as intense. The story is done really well, but it seems more like a second book rather than a beginning. 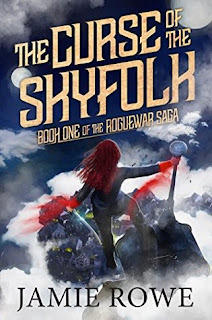 I wish I was able to read about the war that they had in the book that made the skyfolk have so much power. Either way an enjoyable book. Thank you so much for taking the time to read Curse! I’m pleased that you enjoyed the story and I hope to give you some exciting glimpses into the previous war in later instalments in the series. As you have taken the time to write a review, I was wondering whether you would mind potentially posting it to goodreads and/or amazon as well? Every review is incredibly beneficial to a new author.